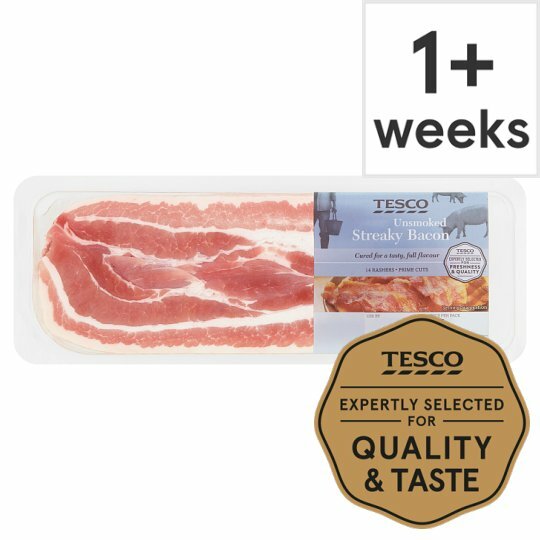 Unsmoked rindless streaky bacon rashers with added water. 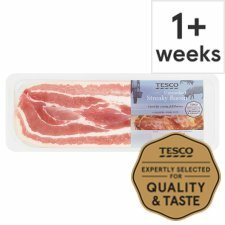 Instructions: 190°C / Fan 170°C/ Gas 5 20 mins Line a baking tray with foil, place a wire rack on baking tray place bacon rashers in a single layer. 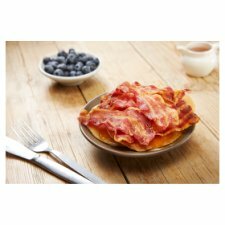 Cover the bacon with a sheet of greaseproof paper and lay another baking tray on top, place in a pre-heated oven and cook for 20 minutes. Hints & Tips:Line the base of the grill pan with foil, this will capture any fat from the bacon and make cleaning easier, just dispose of the foil once cooled.